Please come to our panel discussion and reception to join the conversation about the theme for this exhibition Process / Progress: Sculptural Transformations. 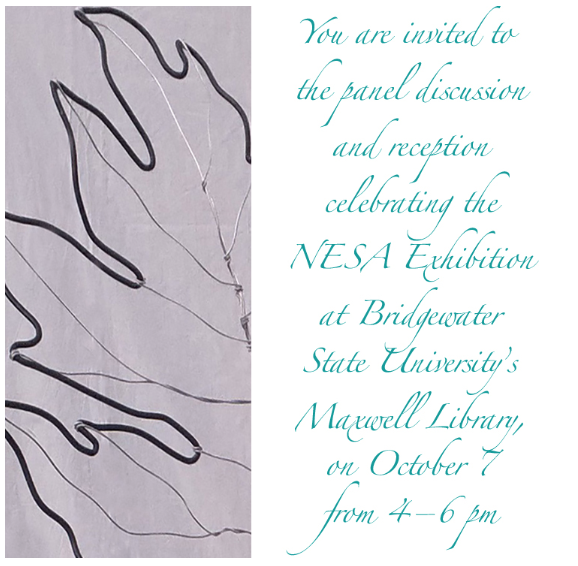 The panel will be in the Heritage Room on the 1st floor of the Maxwell Library. A special thanks to Michael Somers who helped make this exhibition possible and to Jay Block who created the outstanding catalog, poster, postcard, and publicity. If you have any questions, please email Marilyn Ewer, ed@nesculptors.com or call 978-664-3877.